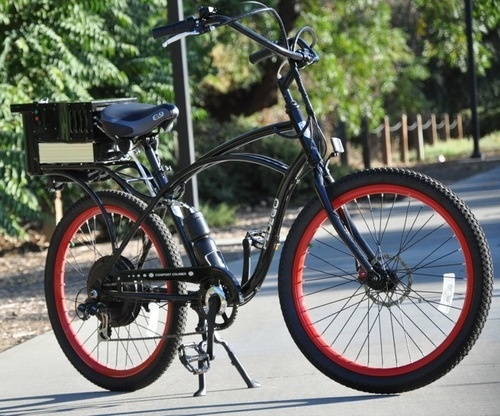 The Signa bike is powered by a fuel cell full of a sand-like powder called sodium silicide. You just have to add water. Sodium silicide is a safe substance and when water is added to the cell, hydrogen gas is produced, which generates electricity. The cells weigh 1.5 pounds and they are hot-swappable. This means that you can easily plug in a new one after you reach its maximum 30-mile run. The company that makes the Signa bike is working to make these cells more powerful, so they could be integrated in cars.